CMS Endurance Team Enters and Finishes Four Cars at Sebring! 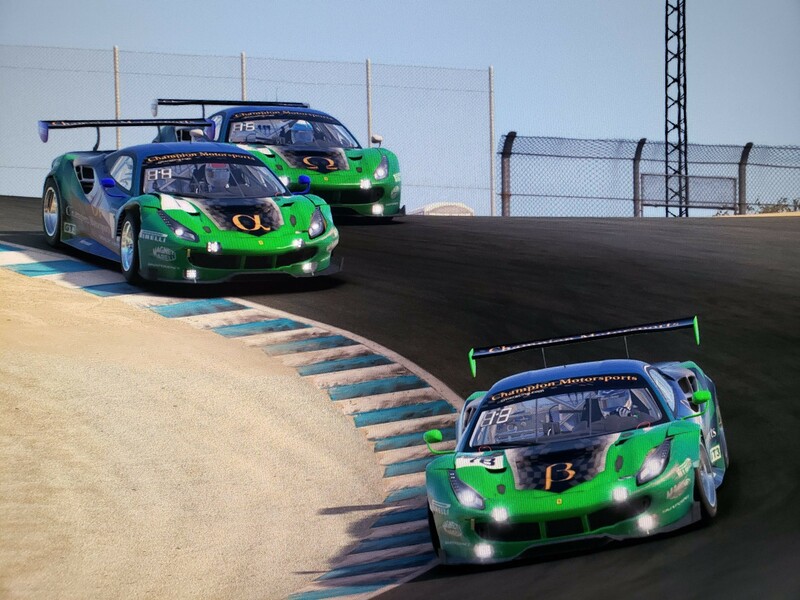 Another first this week for the Champion Motorsports esports iRacing Endurance team as for the first time in team history we would enter a total of four cars in a race. For this week's VRS GT3 Series Enduro at Sebring we had our Alpha, Beta, Gamma, and Omega Ferrari GT3 cars all entered. What's even better news is that they would all finish the race. Led by another strong performance from the Omega car, in 11th place overall and a great first drive by Mike Sargent, and one of James Andrew's stronger runs of the year. The Omega car was steady and solid from the drop of the green flag, and it showed with a great finish. Pictured Above James Andrew drives the CMS Omega Ferrari GT3 to another very solid finish in back-to-back weeks! Unfortunately a single early race accident collected all three of the other cars, giving them all setbacks of various degrees. Luckily it was somewhat minor for the Beta Team driven by Paul Hamilton and Jay Dargert and they would recover to a solid top 15 finish with 14th overall. It was a bit harder for the newly driven Gamma team in the cars first race. Matthew Overton behind the wheel and paired up with Doug Ritter. They would take a bit more damage, but also recover well for a 16th place overall finish. The Alpha team was not so lucky as they took the brunt of the damage in the accident caused by another car, and would have to spend 30 minutes on pit road for major repairs. To make things even more dramatic for the Alpha car there was a technical issue and Mike Tyler was unable to get in in the car properly to take over driving duties from David Anderson. However, quickly turning a negative into a positive the CMS Community rallied in a big way. After seeing a cry for help and emergency post Larry Ford jumped in and got in the car for CMS and joined David so that the car could continue and be officially scored. Dropping all the way back at one point to the last place, David and Larry overcame the odds, and drove the car back up to a 23rd place finish and salvaged some critical championship points for the Alpha car. Four weeks in the Alpha car now finds itself a solid top 25 in overall points of over 300 teams, with the Beta Car in the top 40 and the Omega car quickly gaining after two solid finishes in back to back weeks. Next up the team will head out West to California and Laguna Seca next weekend for round 5! CMS Breaks into the Top 10 for Third week in a Row at Road Atlanta! We are very excited to announce another great weekend of endurance racing and solid results from the cmsracing.com esports iRacing Team! This week we were in The United States for the first time this season and we would be running at the famed Road Atlanta, home of the Petit Lemans. This was would be an all GT3 field, and for the first time in the season our Alpha car would qualify for top split. With our Omega and Beta cars running in the 2nd split. Daniel Johnson and Doug Ritter managed to drive the Alpha car to a very solid top 20 finish, coming in 17th overall in the top split and gaining over 100 Championship points. The effort moved the Alpha car into a solid top 20 in the season standings as well which is very impressive three races in. The bigger story was yet another top 10 to make us have at least one of our team cars in the top 10 in every race so far this season. This time the finish would come at the hands of JT Tami and Mike Tyler. JT Drove a beautiful race and Mike made his season debut and contributed solid runs for the team as well to have a great start to his season! 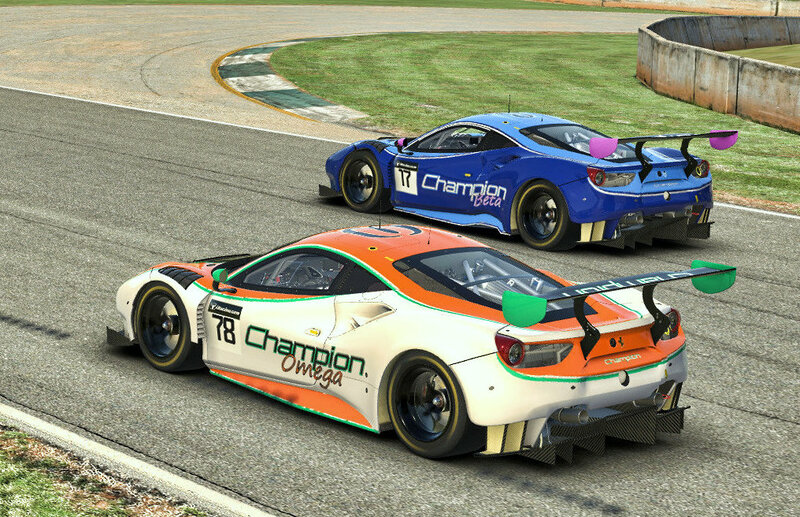 Here is a screenshot of the Omega and Beta cars at Road Atlanta! Congrats to the team! This week we welcome another new team member, Mike Sargent and we are considering launching a 4th car into the team stable, which will be named cmsracing.com Gamma. We are still welcoming any cms member in good standing to join us. This weekend's race will be at Sebring on Sunday 4/7. Come join us on the official cms discord server and get involved with the team! It's great stuff! 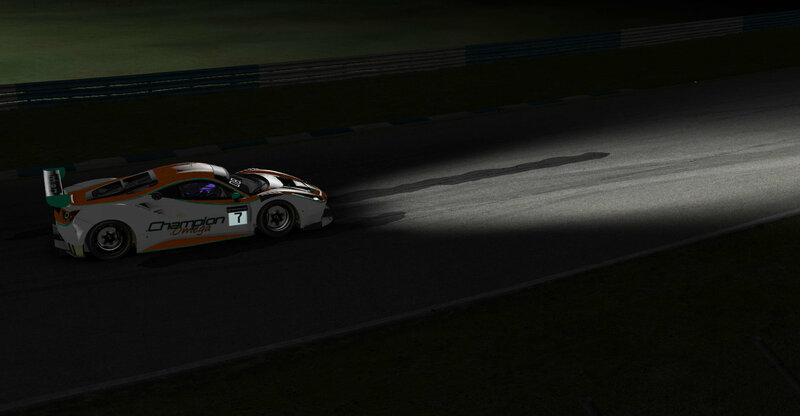 The Champion Motorports e-sports iRacing Endurance Team has built upon a great finish and team victory at Lemans, with three follow-up top 10 finishes, including a podium at Bathurst Mt. 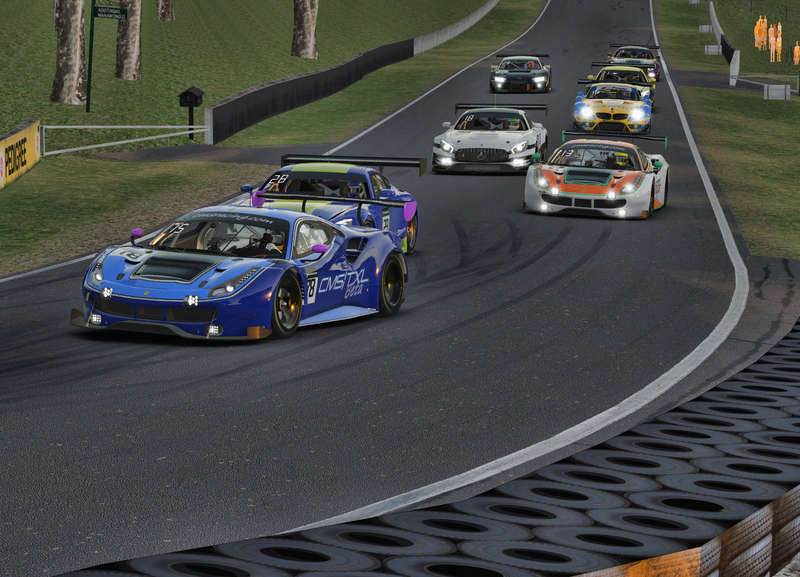 Panorama in round two of the VRS 2019 GT3 Endurance Series. All three cars come back from off the Mountain this week with incredible early season results to continue building momentum. David Anderson and Daniel Johnson would finish in 9th overall in the Alpha Car and putting the Alpha Car in the top 25 points overall in the process. James Andrew, Doug Ritter, and Matthew Overton drove the Omega car in it's first race of the season to a 5th place overall in the Sunday session which was really exciting to see this car in the race and doing so well it's first time out. The highlight of the weekend was Paul Hamilton and JT Tami putting a team high 3rd place into the Beta car in the Sunday Session. Paul and JT drove beautifully and worked brilliantly together for a great finish. No rest for the wicked as we are now getting ready for Round 3 at Road Atlanta this coming weekend on March 30th! More information coming soon as the team heads to the United States for the first time this year, to see how we can do on the home soil for the majority of the team.